The Valentine has opened nominations for the Annual Richmond History Makers and Community Update. 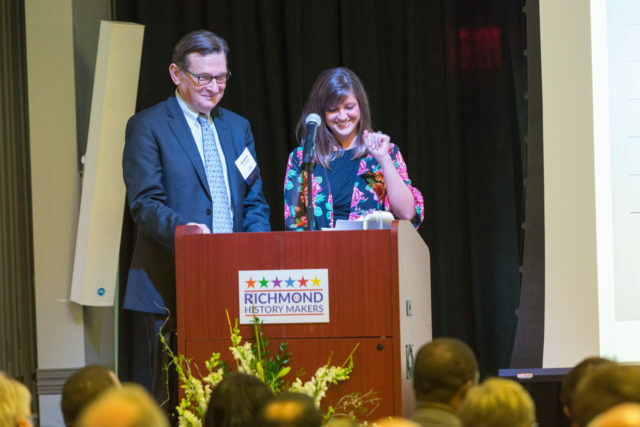 Launched in 2005, the program recognizes individuals and organizations that have made lasting contributions to the Greater Richmond region. The Valentine and the Capital Region Collaborative (CRC) will once again partner to highlight the work of six honorees and provide data on the progress being made in the region. The program, which will include recognition of honorees as well as the CRC’s annual community update, will take place at Virginia Union University on March 12, 2019. Nominations for the 2019 Richmond History Makers & Community Update Program are being accepted September 4 through October 22. You can learn more about the program, view past honorees and nominate your own Richmond history maker at RichmondHistoryMakers.com.